Set It Up review - is this the rom-com revival we've all been waiting for? Verdict: For those of us who have been yearning for a good romantic comedy to watch since well...forever. "Where are all romcoms gone? There is a shortage of rom coms, and thus, my happiness.” Chrissy Teigen was speaking for all of us when she tweeted this back in March. After being somewhat overdone in the late nineties/early noughties, the romantic comedy genre has pretty much disappeared from cinemas in recent years, which has left many of us with a big Bridget Jones-shaped hole in our lives. This is where Netflix comes in. The online streaming giant has recently released a string of rom-coms over the past few months but unfortunately, none of them have really made their mark (The Kissing Booth is somewhat mediocre, Candy Jar is particularly terrible.) However, this brings us to their newest release, Set it Up, the film all of us rom-com aficionados have been waiting for. The premise is nothing groundbreaking, granted. But it’s not trying to be. 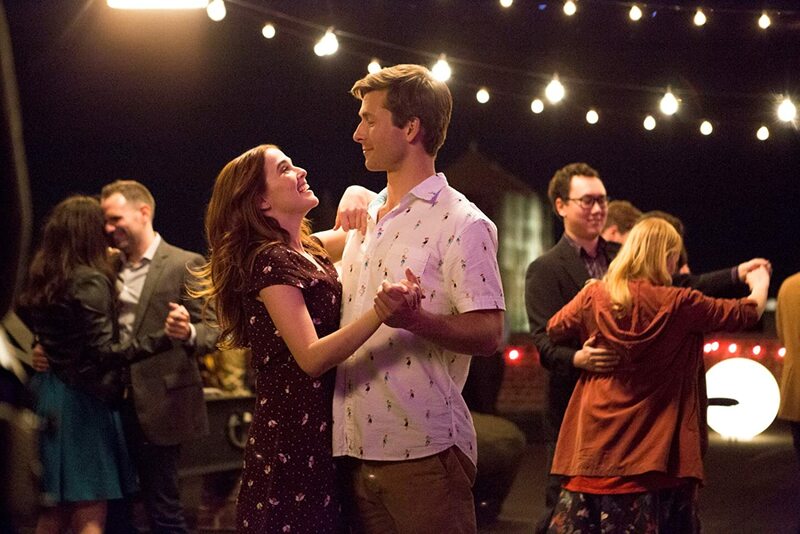 The film stars Zoey Deutch and Glen Powell as Harper and Charlie - two tired and overworked personal assistants. Harper (Deutch) is the assistant for a sports journalist who is known for her ballsy and ambitious articles, and whilst Harper longs to follow in her footsteps she’s finding it hard to find the time to follow her dreams. Charlie (Powell) on the other hand is the assistant to Rick, a media mogul and all round pretty bad person. They decide to give themselves a break by setting up their power-hungry bosses with each other. Deutch and Powell are no strangers to the genre and this shows. Their chemistry is great and they really bounce off eachother, and a lot of the film centres around their growing friendship but of course they fall in love - it’s rom-com! But it genuinely feels organic and real. The supporting cast is also strong, including Lucy Liu as Harper’s boss Kirsten, and model Joan Smalls as Charlie’s girlfriend Suze. Set It Up leans on the classic rom-com trope of enemies to friends to lovers, and it’s cliche but also comforting and familiar, and a nice break from all the drama going on in the real world. It’s a throwback to the traditional rom-com without being outdated and boring: the women in the film are strong and independent and they don’t need a man. They are successful, intelligent and interesting on their own without being desperate for a boyfriend, and this is such an important message in today’s society. Set it Up is a nod to the classic rom-com and often finds itself softly mocking it’s predecessors. In one scene Harper and Charlie are scheming about how to create a meet-cute for their employers. A meet-cute being a seriously overdone plot line in almost every romantic comedy to ever exist, Set It Up acknowledges that this genre of film is a cliche but it doesn’t hide from that - what’s the point? People love rom-coms because they like the predictabilty - they find comfort in the light escapism. Although Set it Up doesn’t break any grounds in terms of plot, it's witty and funny… and any film that has 'Signed, Sealed, Delivered' on the soundtrack deserves a place in the rom-com genre. Set it Up is available to watch on Netflix now.